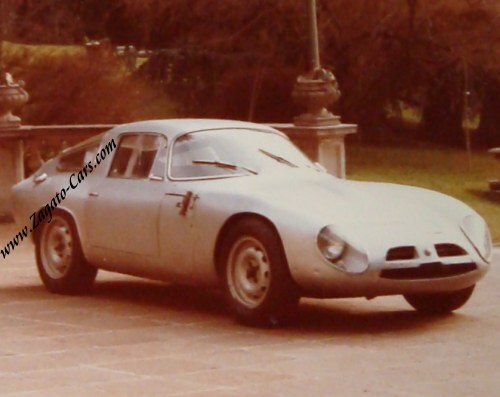 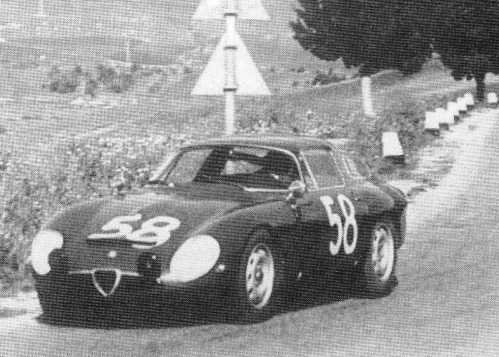 Assembled & prepared by Auto Delta in Udine as the second TZ of the non-prototypes. 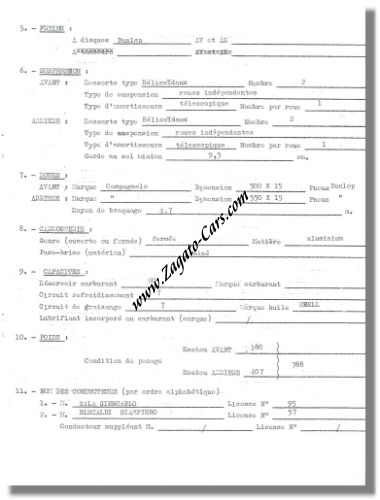 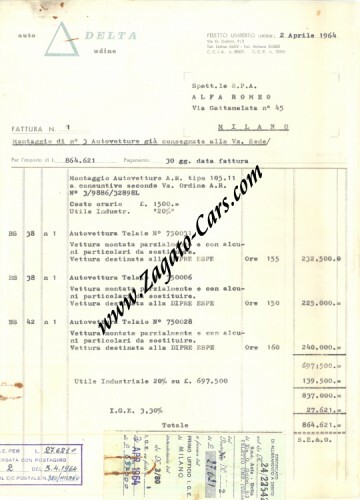 As this was so early in the production process, Alfa Romeo did not yet have engines available and consequently 750006 (along with 750028 and 750031 which were also in this very first "production batch") were shipped to Alfa Romeo's Experimental Department (DIPRE ESPE) to be completed with engine and gearbox. 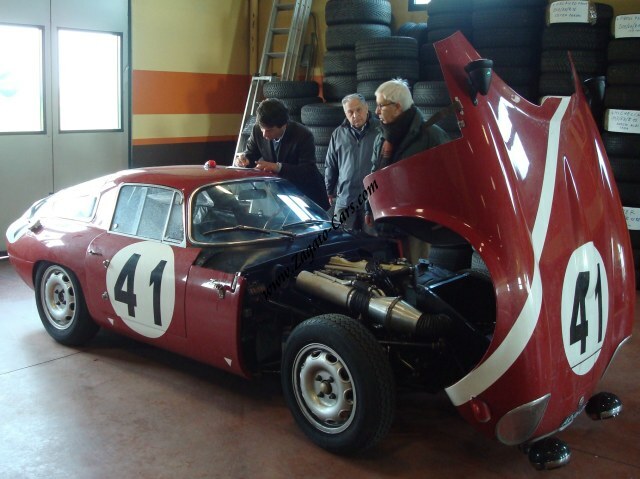 The engines and gearboxes were built at DIPRE ESPE. 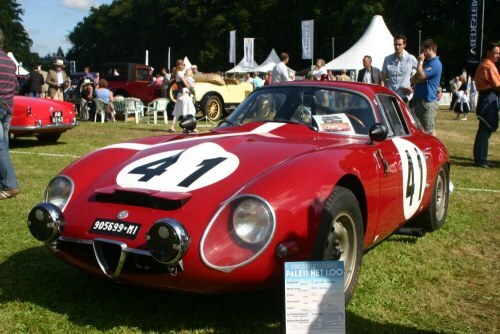 Red, white head light bowls, 2 black sirens, air outlets on side windows, chromed wing mirrors, 3-part air scoop, normal wheels, Monza-style fuel filler. 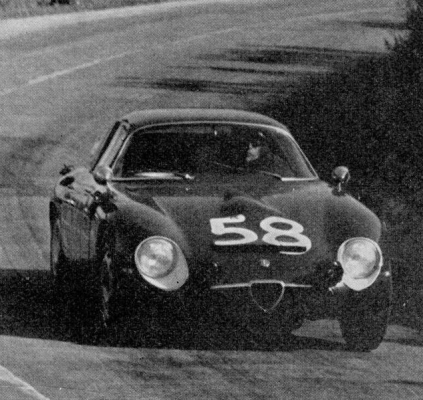 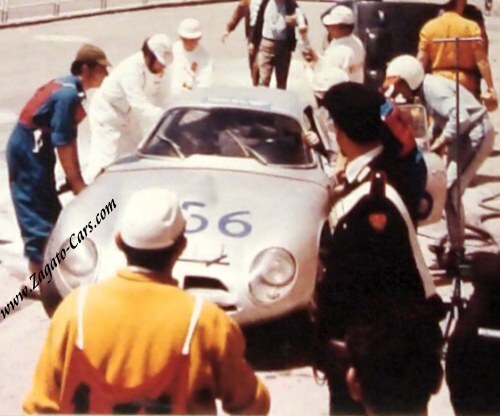 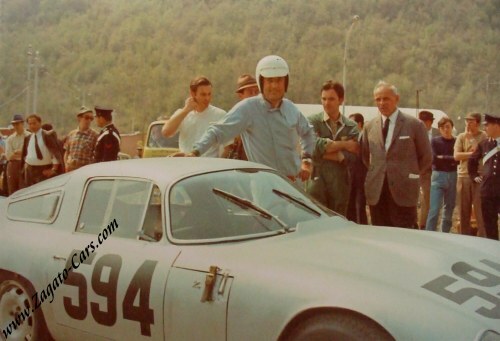 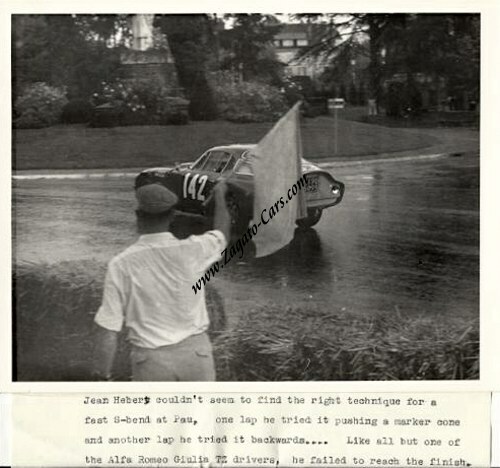 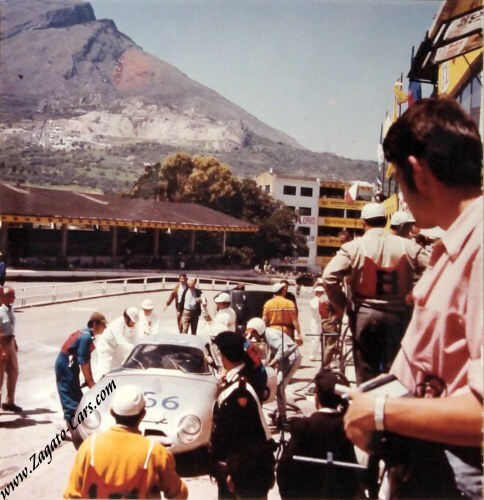 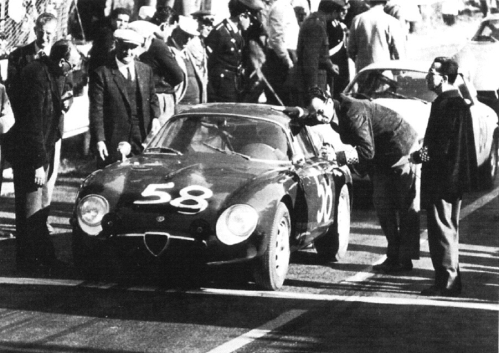 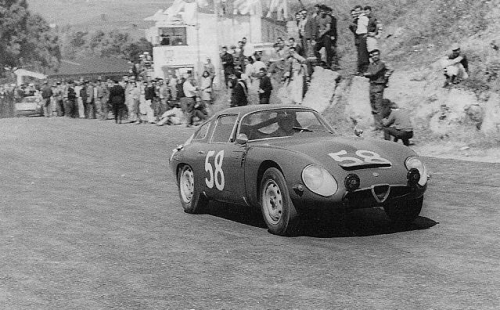 Please note that due to the temporary license plate and the fact that the archive of the Targa Florio is not accessible, there is no hard evidence that this whas actually 750006 but that we came to this conclusion through careful analysis of photographic material. 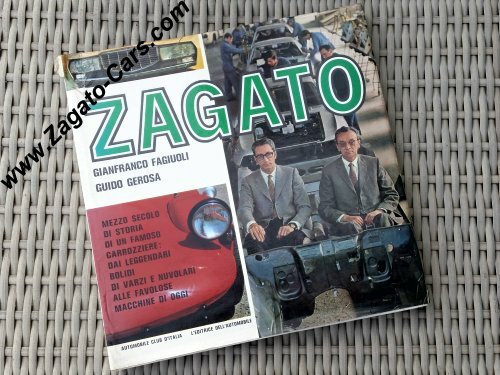 Giampiero Biscaldi (I) / Giancarlo Sala (I). 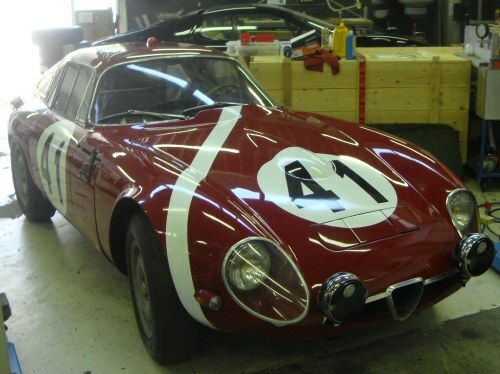 Red with white stripe, white/ light blue rear panel, white head light bowls, 2 Cibie auxiliary lights, air outlets on side windows, black wing mirrors, roof light, 3-part air scoop, knock-off wheels, Monza-style fuel filler. 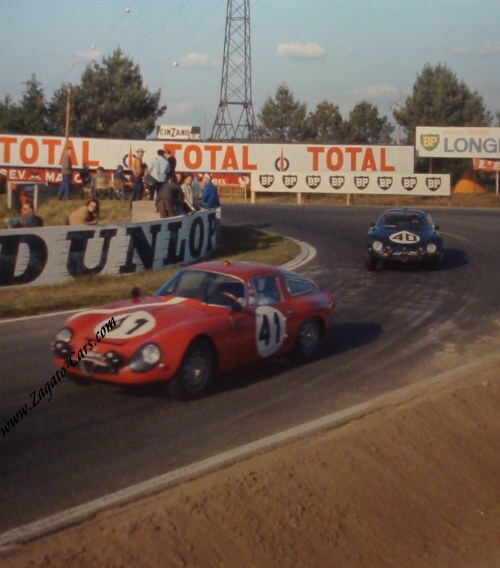 Jean Hebert (F) / Georges Burggraf (F). 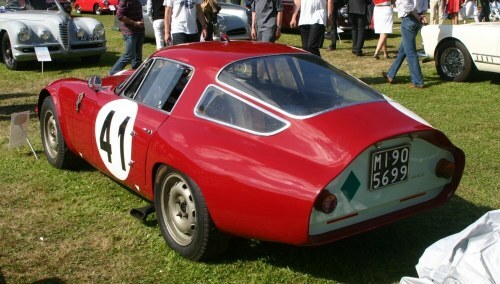 Red, black head light bowl surrounds, normal wheels, air outlets on side windows, black wing mirror, 3-part air scoop, Monza-style fuel filler. 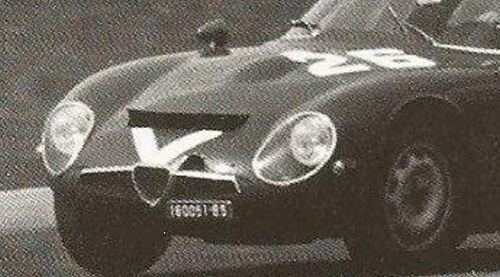 Appears to have sustained damage to the right hand side of the nose, right above the moustache. 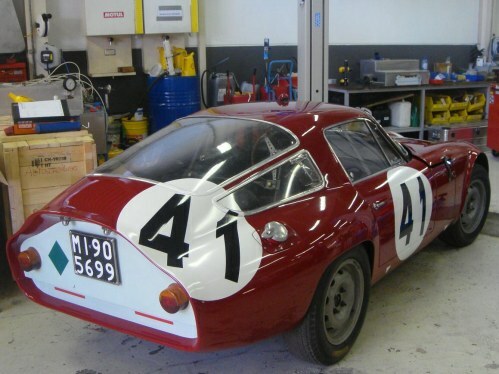 Sala removed all paint from the bodywork, inside and out, in order to reduce the weight. 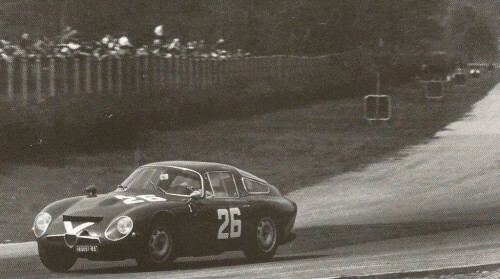 Arturo Merzario remembers Giancarlo Sala and the car and relayed that Sala got the idea to do this when he saw extremely quick Porsches race in bare aluminium at the Nurburgring. 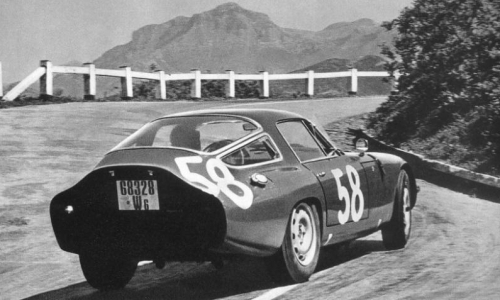 Another source added that Sala even sanded down the aluminium to reduce the thickness in an attempt to further reduce the weight. 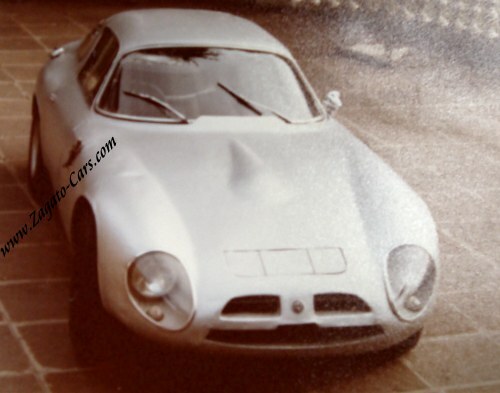 The car would remain in bare aluminium until its restoration in the 2000's, making it an instantly recognizable TZ. 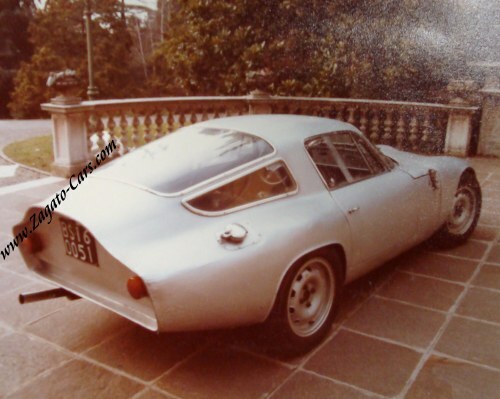 Bought from Francis Fabulet through Guido Bartolomeo still with bare aluminium body. 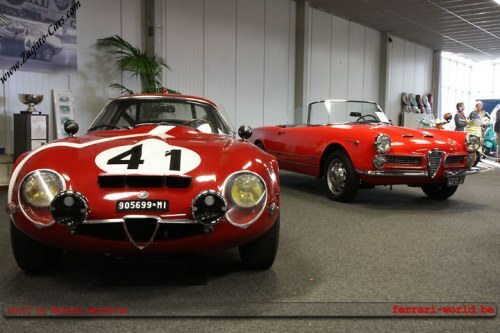 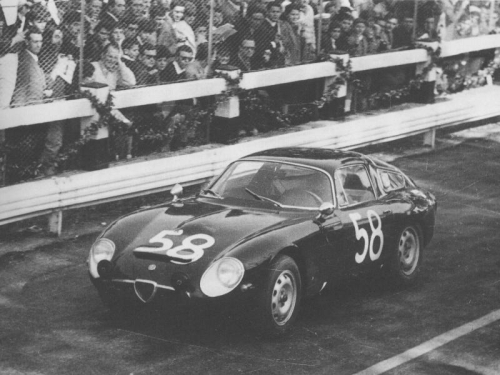 The car was stored in the warehouse of a local Alfa Romeo garage. 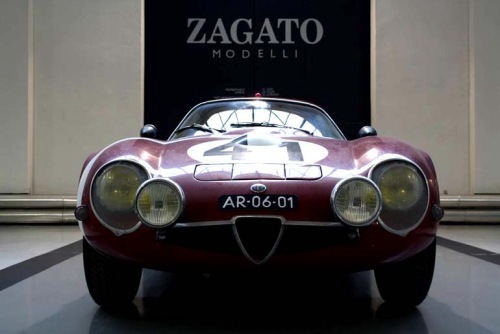 The car was put on display in the Het Autotron Museum in The Netherlands. 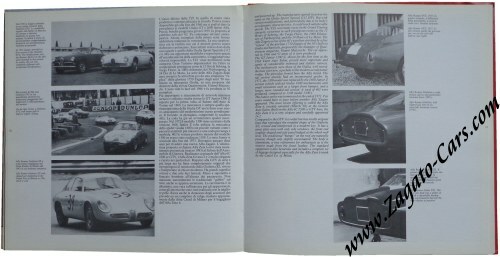 Together with TZ 750096 and a Porsche 934, TZ 750006 was sold to a Japanese buyer. 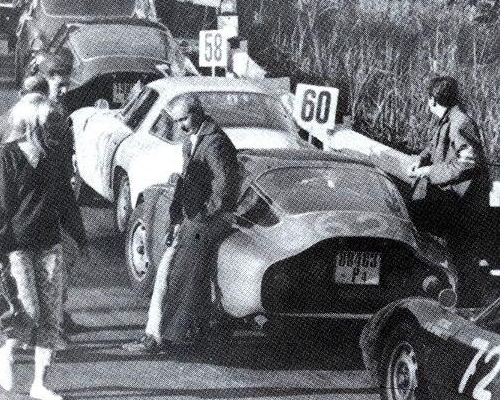 The Japanese buyer took delivery of TZ 750096 and the Porsche but TZ 750006 was delivered to Piet Roelofs (NL) for restoration. 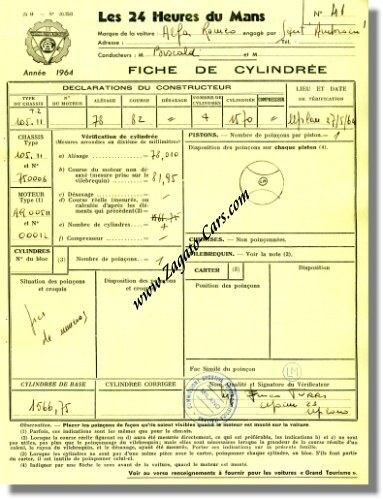 Although a downpayment was made on TZ 750006, the Japanese buyer failed to make payment in full. 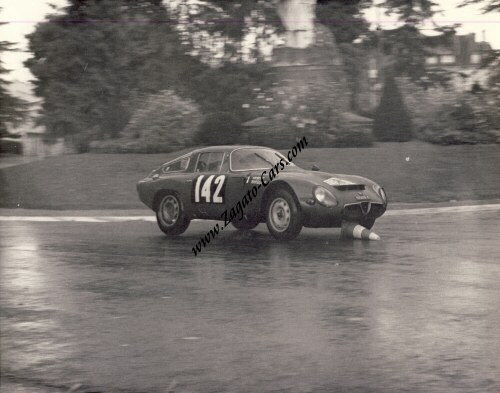 The car remained at Piet Roelofs and the restoration was halted. 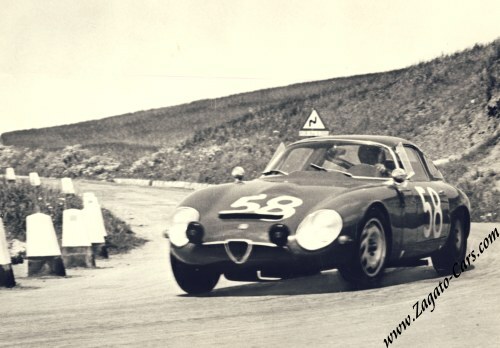 It was agreed with the Japanese buyer that TZ 750006 would return to the Van Der Velden family. 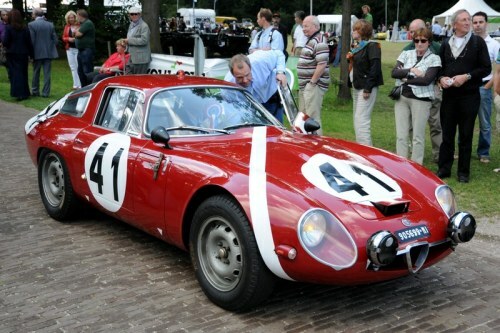 The car remained at Piet Roelofs with the restoration still on hold. 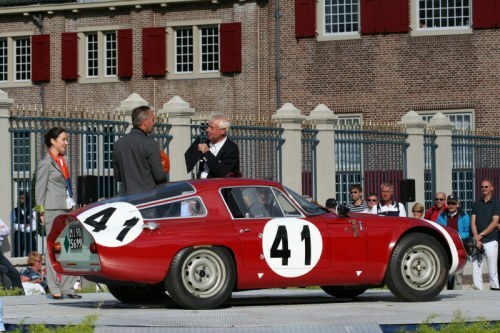 The Van Der Velden family agreed with Piet Roelofs to resume the restoration in so-called "down time". 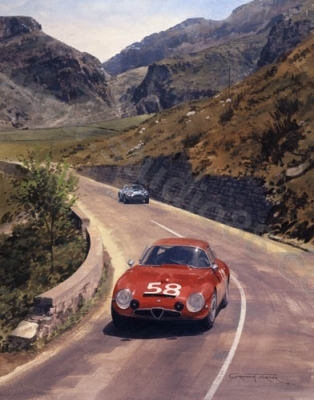 With hindsight, and the ever growing demand for Piet Roelofs' work, the restoration was delayed significantly. 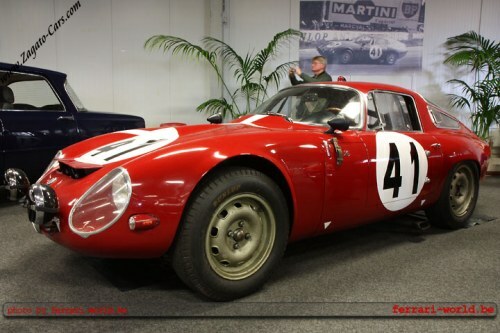 Restoration to 1964 Le Mans livery completed. 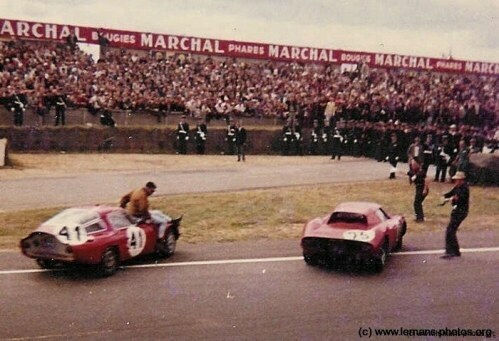 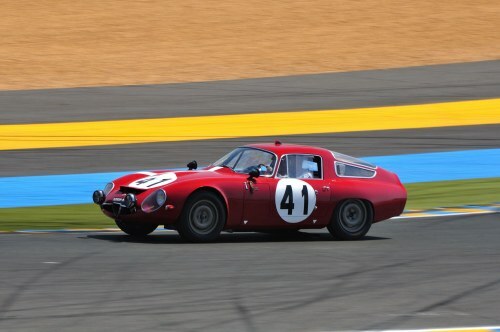 The car won 1st in class at the Le Mans Heritage Club concours. 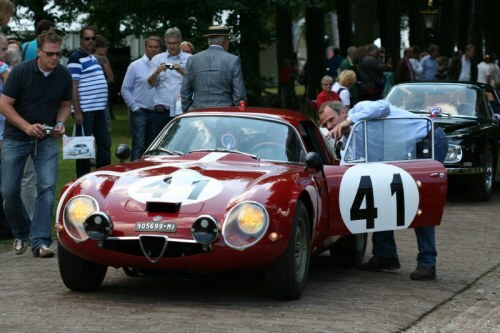 The car was entered in the Paleis Het Loo concours and despite not having undergone a concours restoration, it won 2nd. 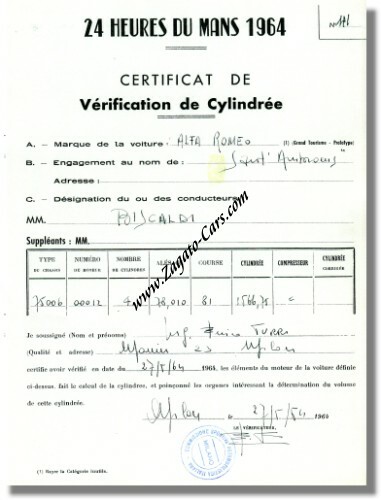 in class. 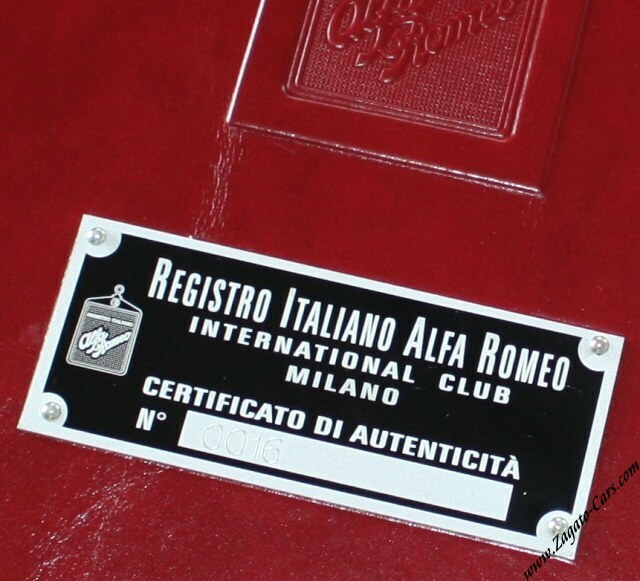 The car was homologated and authenticated by the R.I.A.R. 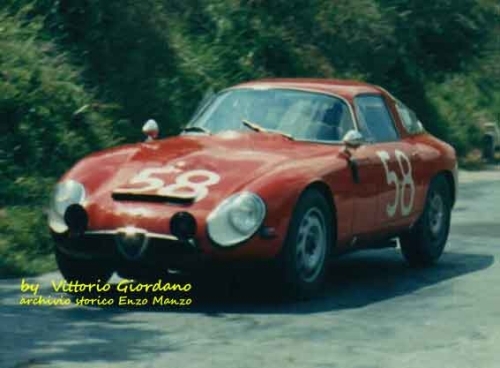 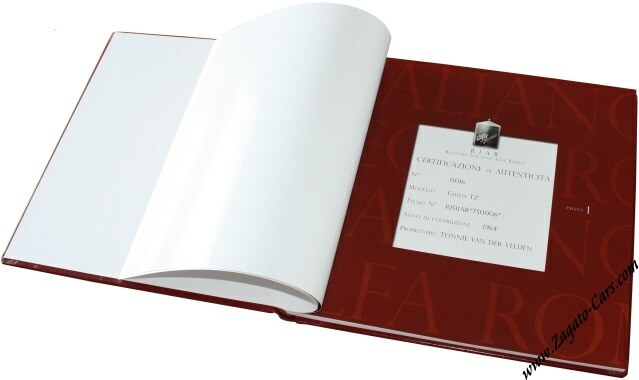 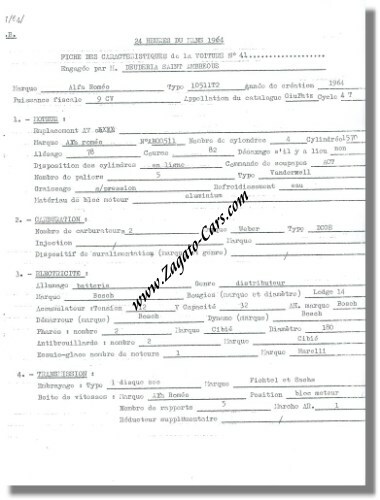 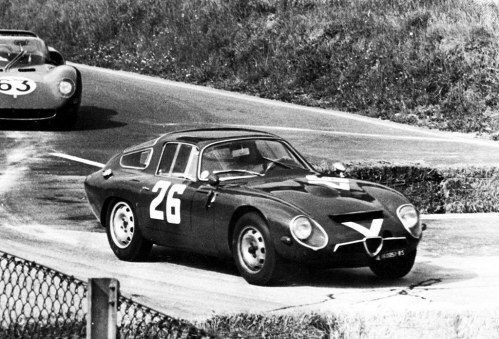 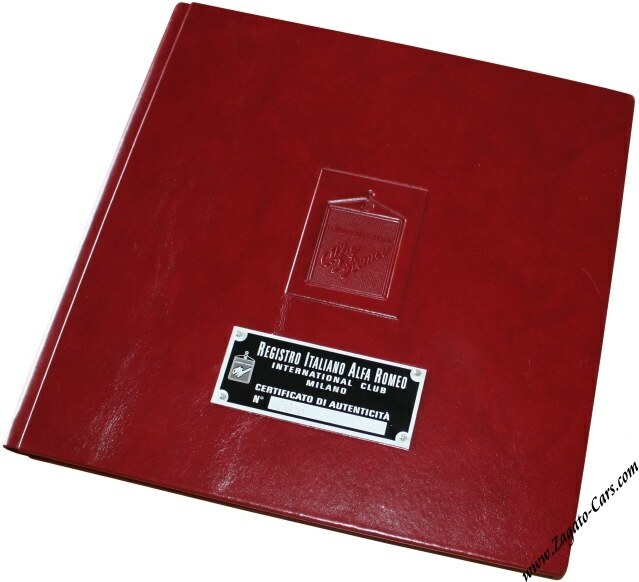 (Registro Italiano Alfa Romeo). 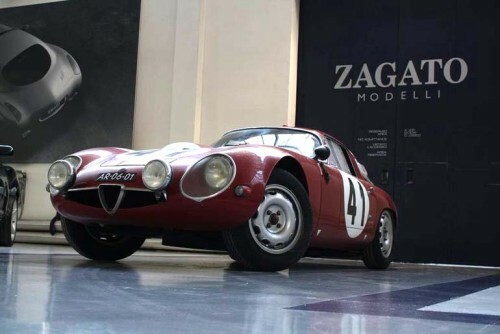 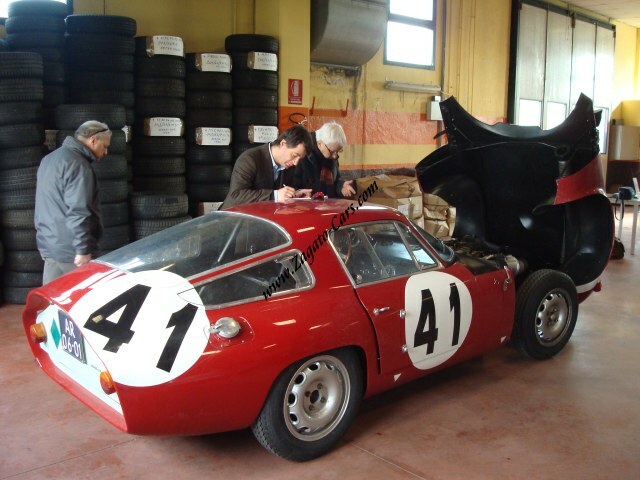 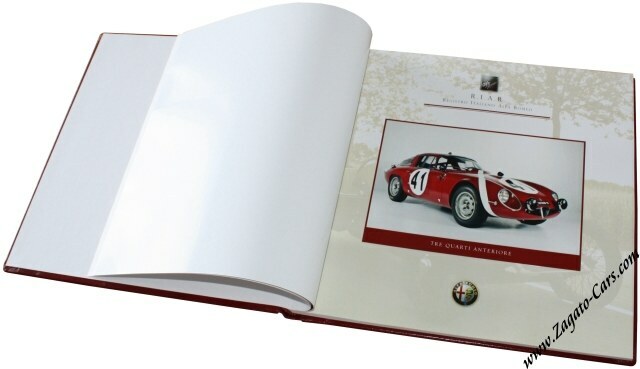 The car will be auctioned at the RM Auctions at Villa d'Este on May 21, 2011. 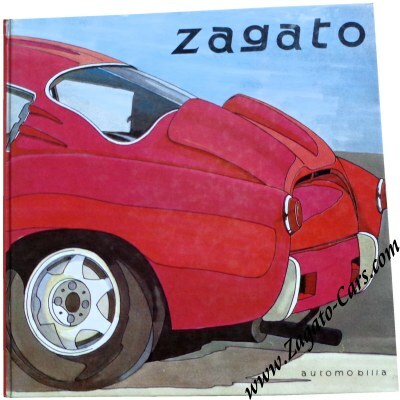 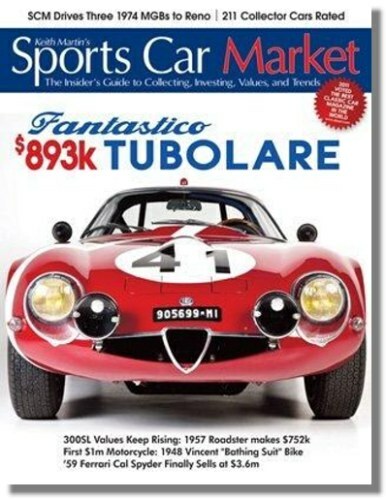 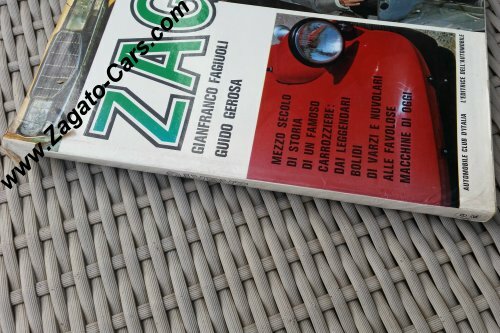 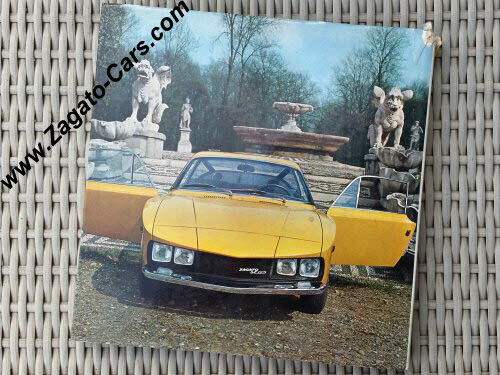 The car is featured on the cover and in an article in Italian classic car magazine "Automobilismo d'Epoca". 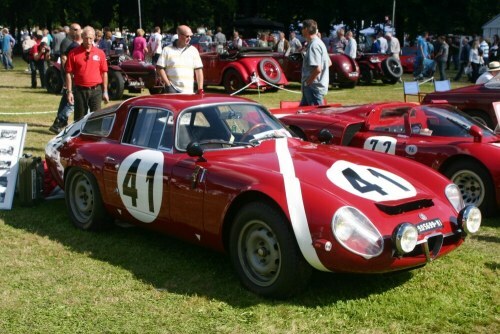 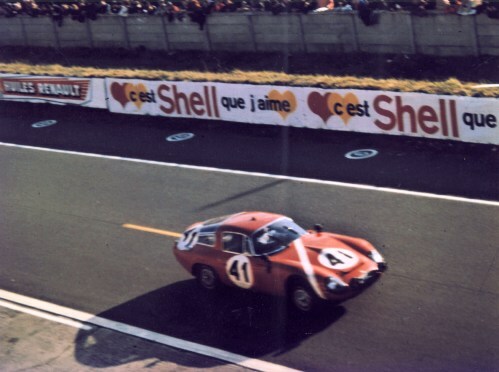 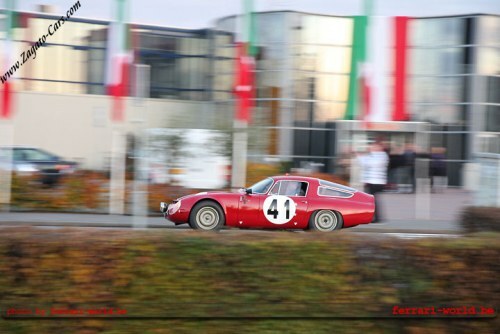 47 Years after its original participation at the Tour de France Automobile, it attended the start of this year's event. 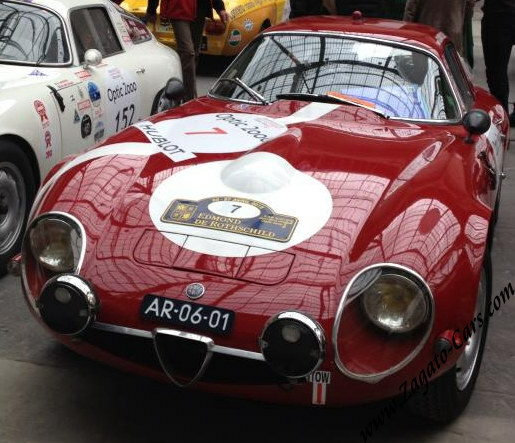 Car was entered in the 2013 Tour de France Auto.